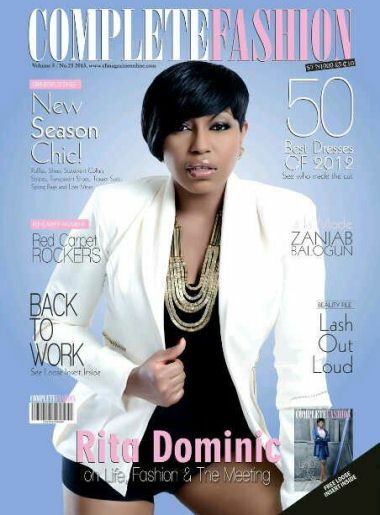 Rita Dominic has covered the January-February edition of Complete Fashion magazine. The Nollywood actress rocks a white jacket over an LBD. She talks about her life, fashion and the success of her 2012 movie ‘The Meeting’ which stars the likes of Nse Ikpe-Etim, Linda Ejiofor, Femi Adebayo and herself. At 37, Rita is looking smoking hot! The flip-side of the monthly magazine is covered by vice chairman of Exxon Mobil Unlimited (EMU) and publisher of Complete Fashion Dr. Ibe Kachikwu.